I suspect it was actually the novelisation of a Benji film. 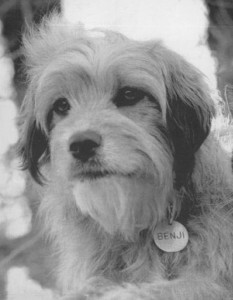 The very first book I ever read was about a little dog that got lost and had an adventure. At one stage it befriended a raccoon and learned to live at night so it could eat trash. I loved this story so much that I learned to read just so I could get through the story faster than I could with my mother reading me a chapter a day. Since then, reading has been a constant companion in my life. There is no form of entertainment capable of holding me in one place for longer than a good book, and nothing I find harder to stop doing. So because of this, I viewed the advent of the Kindle with suspicion. I loved books, and I wasn’t sure I was ready to stop reading them. I’d tried to read books online and it felt like reading YouTube comments or Wikipedia articles. The difference between that experience and a real book was like the difference between popcorn and steak. I liked the weight of books. I liked the smell, the heft, the cover art and the feeling of achievement when you closed it. Notwithstanding all of those things, I rather nervously purchased my Kindle two years ago along with my first e-book (The Name of the Wind). Since then I’ve bought eighty-seven more, which is a slightly worrying number. I now spend more on books than I do on coffee, the standard first-world test of a significant expense. My reading habits changed so quickly I am not sure any actual time elapsed. There are a number of problems with reading without a Kindle. I never used to spend much time complaining about these, because I loved reading and I had no alternative. As soon as I realized that the Kindle solved these problems, I never looked back. I thought that I loved reading books, but it turned out that I just love reading. My 96-year-old great auntie loves these. The first and most obvious problem is that you have to buy physical books, and these are incredibly expensive. 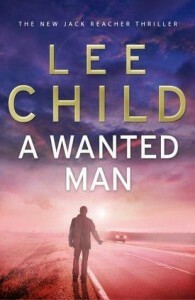 Take a recently released book as an example: Lee Child’s latest novel, A Wanted Man. The Kindle e-book is $9.49. If I want it from Whitcoulls, just the paperback, I’m looking at $37.99. That is damn-near four times as much, which is loco. If I even want to get close to the Kindle price point I’ve got to buy it second-hand, but even then the cheapest it gets is $13 (with shipping). Sure you could get it out from the library for free, but you’re lazy, and besides, it’s raining in the world I have constructed to win this argument. You also don’t have a car, you can’t find your library card, and the librarian gave you a look the last time you didn’t want to pay your overdues. If you’re reading a series, they will definitely have every book in the series except the one you want. Some people love going to the library. I’m just not one of them. Assuming you’ve bought your wood pulp, you read it (the best part). Then if you’re like I was, you discover the second problem. The book gets consigned to one of a number of piles around the house, followed by optimistic packing in boxes, followed by unpacking when you’ve read all the piles a few times (in my case, around four). At that stage it gets really hard to decide which one you want to read the most. I hope you don’t feel like moving house anytime soon either, because I’m not helping. You remember it, but do you want to? Some may argue that it’s all worthwhile – that these physical objects have value, and as they get progressively more dog-eared and stained they accumulate meta-stories of their own. Personally, I’ve never recognized a stain on or rip in a book as being from a particularly noteworthy event. Usually it’s the Great Pie Spill of 2003, or that time it slipped out from under the plate and closed on the pizza. There are a heap of lesser benefits. I can read my books on my phone if I’m stuck somewhere without my Kindle. I can go on holiday without carting kilograms of real books. I can read hard-to-find or out-of-print books (I’ve rediscovered a few classics from my childhood). I can read in bed in the winter without getting cold hands. I can read the next book in a series mere seconds after finishing the previous one. Given all this, why would anyone prefer to read physical books? You pay much more in money, time and convenience for the same story. You can read twenty-five reasons here – some spurious (magic? 8-tracks? ), but others are genuinely convincing. To all that, I respond that I still like the things I liked about books before! I just don’t have time for them. I have an ambition that one day I will have a house that will have a library with comfortable chairs and thousands of my favourite books, all in hardcover. I will sit in there all day, wearing a dressing gown and slippers and drinking Cognac in front of an open fire. Right now all I can afford is the Cognac, but I’m working on it. My fellow ruminant, Mr. Morgan Davie, eloquently suggests that the presence of content in the physical world is of significant and subtle importance. It’s hard to argue with the idea that the world should contain more of the things that you like (and fewer of those you don’t), but it’s an empty argument. Shops do not tell us who we are; they are a symptom, not a cause. Neither is their mere presence an endorsement. Those bookstores that remain financially viable do so because they are selling the things that people want to buy. These may be beautiful old leather-bound editions of Dickens, but these days you are more likely to find Confessions of a Guidette. Not all stories are the ultimate embodiment of culture, and if the bookshops can’t find any other way to make money then I won’t be sorry to see them go. Reference – yeah so I’m an old fella who is back at university again and am currently sitting in the library surrounded by literally thousands of books. The table I’m at is scattered with at least half a dozen, opened at different pages as I attempt to fuse their words of wisdom (and some times stupidity) into something of my own. There are multiple little bits of paper sticking out of them, marking out those sections which I’ve found useful (or that I want to point out as being stupid). They’re all at arms reach and I can flick between them with ease. Those that I own have sections underlined, notes scribbled in the margins and little emoticons and question marks scattered through them – I’ve added to these books, there are contributions of my own in them which serve to relate them directly back to me. Anyone picking up those books would perhaps get a different experience if they read them – my markings mapping out how I have interpreted the information in them. They’re not the books that they were when I got them. Now I recognise that this isn’t the type of reading which everyone is doing but I think that it does show where the physical book has an advantage – it lets me shape the book into something which is uniquely mine, or maybe me. Which brings me onto the second point which you reference towards the end – the presence of physical content in the world. I’m a somewhat nosey person, not in an obtrusive way, but in that subtle (I like to think) “I’m examining you quietly” kind of way. I like seeing what people are reading – I like to read the person reading the book. Hey, that middle aged business guy on the park bench is read Nietzsche! There’s more to him than meets the eye! I don’t get that same arena of conjecture when I see someone reading from a digital device – the only conclusion I can draw is from the brand – I can’t see the actual information (or type of story) that they are consuming (without actually looking over their shoulder which would be rude!) 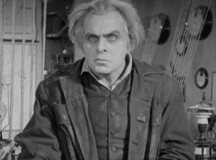 and add to the physical impression I get of that person. It works the other way as well I think – I like the idea that people will draw assumptions about me when I read in public (as I do). What I read builds up a mental image of me beyond how my race, clothes, haircut and beard signify me to the world. Consumer culture operates, to a certain extent, by consumers using the products they buy to signify themselves, their allegiances, their tastes, to the world. Books operate within this sphere of signification as well – but they say more than how much I earn (or what social scene I may belong in) – they give a glimpse into the mind, or maybe the mindset, of the person who is reading them. That glimpse may not be always true, but it allows people, even if not on purpose, to frame their own identity to the world beyond just the physical markers which are usually observable. To a certain extent the physical book, when read in public (or when looking at someone’s bookshelf) is a physical marker of their mental identity – it’s a link between the material and the immaterial. That’s why I love them. I’m not against digital devices for reading, not at all – but I do think that books perform a function outside of just what is in them which digital devices don’t. Well commented! I agree with you absolutely on all counts, and you raise some interesting points. As regards reference books, the urge to scribble and customize is pretty universal. We like the idea that we’re leaving a mark on the world and digital books neatly prevent that. I had many second-hand textbooks over the course of my education, and they were often enriched by doodles or notes. There’s no denying that physical objects have the power to connect people! Even without that, the world would certainly have been a less interesting place without things like Fermat’s Last Theorem. Your second point is particularly interesting. I like the idea of a book making a little bit of someone’s mind visible! I once started a conversation with a girl because of what she was reading, so it’s important to consider the impact the e-book revolution may have on the dating prospects of awkward young men. In this case though, I’d argue that our interactions and relationships are less and less inclusive of people on the street as our online profiles continue to increase. Goodreads is just one example of this. 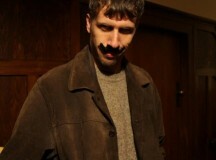 Now (admittedly once I know who you are), I can take in as much of your taste in books as you care to share. Rather than examining someone quietly in real life, you can examine them silently online. There is endless debate about whether or not electronic interactions are as ‘real’ as physical ones, and I think this debate is a subset of that. Humans will always have an instinctive need to interact physically, but individual tastes may differ. Equally, there will always be a place for physical books – but for me, for casual reading, there is absolutely no contest. That invisible becoming visible is perhaps the bit I am most resistive about in regards to ebooks – probably because it’s meant so much in my life. As with your tale of talking to girl because of the book she was reading that was how I met my fiancée. It wasn’t what she was reading (because we were at a mutual friends wedding and reading would have been somewhat rude!) but what books we liked instantly became the point of attraction between us. I’m also perhaps a bit less connected than the average punter these days – I was late to the game (in terms of social media) and have a preference for face to face conversation. So having said that I recognise that my opinion is perhaps a bit out of step with the way things may be heading. Still, I think there is a difference between an innocuous presentation of the self through something like the books we read and the construction of identity through the on-line medium – there’s a different level of determination involved in the two “readings” of an individual (pun intended). You’re right about the debate of digital as a form of representation versus the physical – this is, to a certain extent a subset of that wider discussion. Still these things are well worth while to consider because I think they will have consequences for how we live our lives, even such seemingly little things as reading a book publicly. Kudos for a well reasoned conversation! Great article! Digital reading is choice, and I’m mystified why so many people (or at least so many people writing grumpy magazine articles about the death of physical books) don’t get it.